I got the brew day started fairly early in the morning. The mash was going by about 5am. 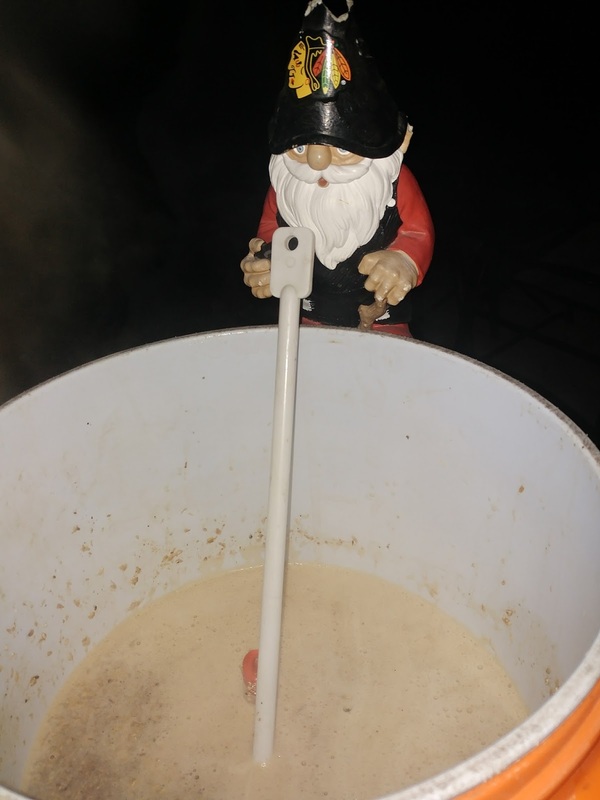 The mash started out a bit warm, but I adjusted down fairly quickly. 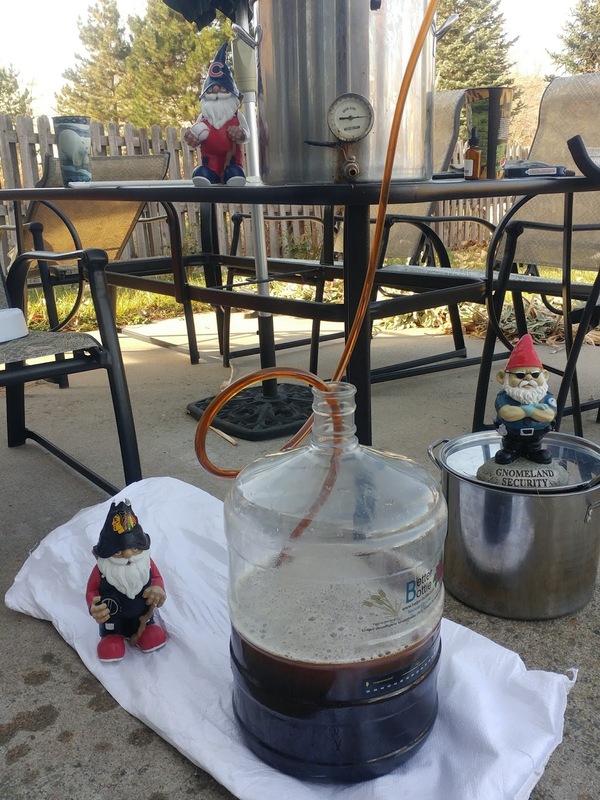 My preboil gravity was right on. Lately, I've been doing 60 minute boils rather than full 90 minute boils. 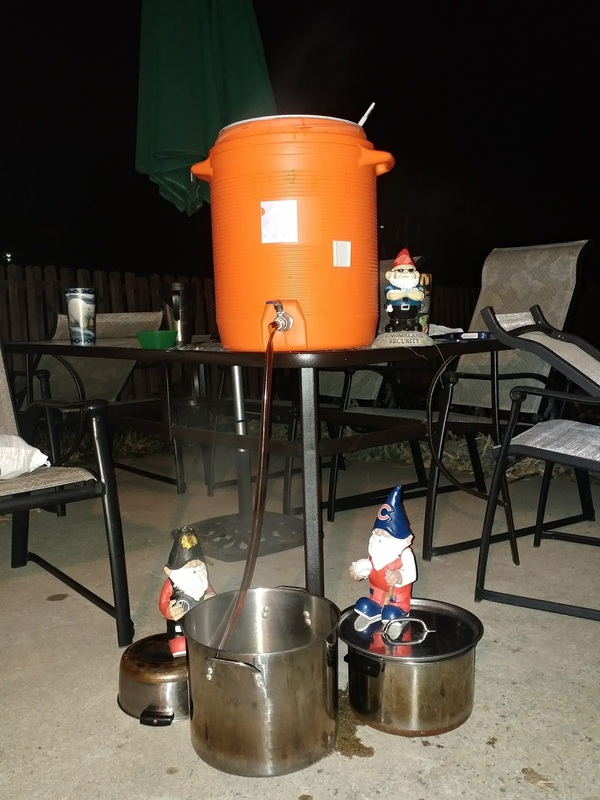 This does save considerable time, and it keeps me more focused on getting things done during the boil. 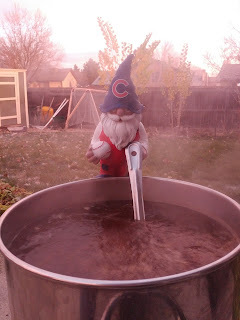 The boil was finished in time to chill the wort before church, but I didn't get it into the fermentor until afterwards. I pitched at about 64 degrees and had my brew day done around 11 am. The og was right on plan. Typical brew day with no real issues. 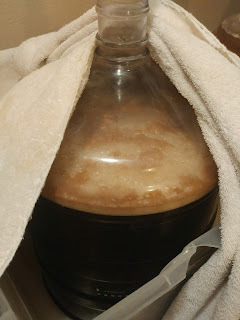 The yeast started up fermentation before the day was done. Things were well on their way the next day. 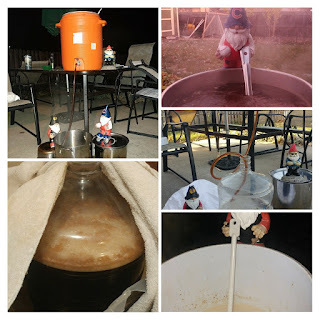 I'm hoping to get this kegged around December 3. It may depend on when I finish Rocktoberfest Lager.